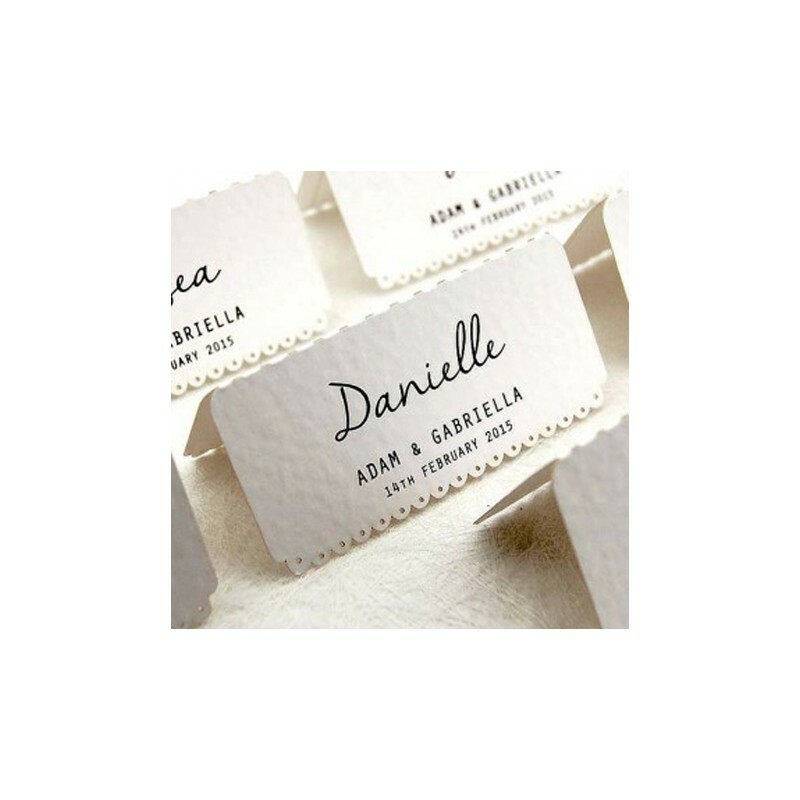 The place card measures approximately 90 mm x 42 mm (9 cm x 4.2 cm, 3.54" x 1.65") when folded. 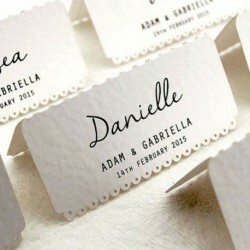 Each place card is made using 250 GSM (169 lbs) premium white hammered card and is individually laser cut to precision. An elegant setting for weddings and dinner parties. Please select the desired quantity from the drop down list and send us the name list via email upon your purchase if you decide to have the personalized set. Additional wording and a different color are possible upon contacting us.